Critics Consensus:A Quiet Place artfully plays on elemental fears with a ruthlessly intelligent creature feature that's as original as it is scary -- and establishes director John Krasinski as a rising talent. Critics Consensus:24 Frames offers Kiarostami fans one final, affecting reminder of what made this filmmaker a talent to treasure. Critics Consensus:I Am Not a Witch approaches real-life injustices with a beguiling blend of sorrow, anger, and humor, marking debuting writer-director Rungano Nyoni as an exciting new talent. Critics Consensus:Filmworker offers long-overdue recognition to one of Stanley Kubrick's key collaborators while opening an often troubling window into the director's demanding work. Critics Consensus:Foxtrot uses topical themes to deliver a bruising sociopolitical statement that's equally effective taken simply as an absorbing, well-acted drama. Critics Consensus:The Death of Stalin finds director/co-writer Arnando Iannucci in riotous form, bringing his scabrous political humor to bear on a chapter in history with painfully timely parallels. Critics Consensus:The Rider's hard-hitting drama is only made more effective through writer-director Chlo Zhao's use of untrained actors to tell the movie's fact-based tale. Critics Consensus:Surreal and surprising, Three Identical Strangers effectively questions the nature of reality and identity. Critics Consensus:Fast, sleek, and fun, Mission: Impossible - Fallout lives up to the "impossible" part of its name by setting yet another high mark for insane set pieces in a franchise full of them. 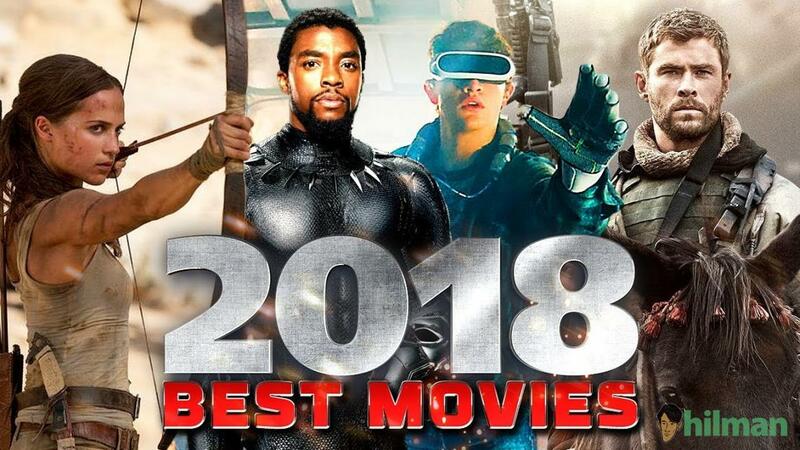 Critics Consensus:Black Panther elevates superhero cinema to thrilling new heights while telling one of the MCU's most absorbing stories -- and introducing some of its most fully realized characters. Critics Consensus:In Between takes a light yet nuanced approach to dramatizing complex, timely themes, further enriched by outstanding cinematography and powerful performances. Critics Consensus:Eighth Grade takes a look at its titular time period that offers a rare and resounding ring of truth while heralding breakthroughs for writer-director Bo Burnham and captivating star Elsie Fisher. Critics Consensus:Won't You Be My Neighbor? takes a fittingly patient and honest look at the life and legacy of a television pioneer whose work has enriched generations. Critics Consensus:Steadily drawing viewers into its harrowing tale with equal parts grim intensity and startling compassion, Night Comes On heralds the arrivals of debuting director Jordan Spiro and her magnetic young stars. Critics Consensus:The Cakemaker explores all-consuming emotion with beguiling restraint, adding up to a delicately understated character study fueled by the power of love. Critics Consensus:Oh Lucy! roots its narrative quirks in universal themes and deep empathy for its characters, all brought to life by strong performances from a talented cast led by the thoroughly charming Shinobu Terajima. Critics Consensus:Summer 1993 (Estiu 1993) finds writer-director Carla Simn drawing on personal memories to create a thoughtful drama elevated by outstanding work from its young leads. Critics Consensus:McQueen offers an intimate, well-sourced, and overall moving look at a young life and brilliant career that were tragically cut short. Critics Consensus:Leave No Trace takes an effectively low-key approach to a potentially sensationalistic story -- and further benefits from brilliant work by Ben Foster and Thomasin McKenzie. Critics Consensus:Paddington 2 honors its star's rich legacy with a sweet-natured sequel whose adorable visuals are matched by a story perfectly balanced between heartwarming family fare and purely enjoyable all-ages adventure.